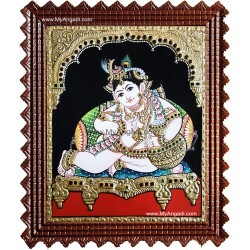 Want to experience spiritual love? 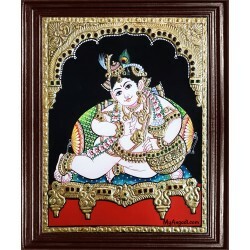 Bring home a lord Krishna art. 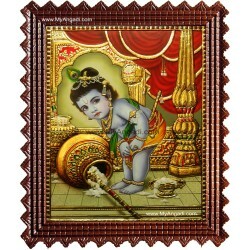 He is the most lovable god. 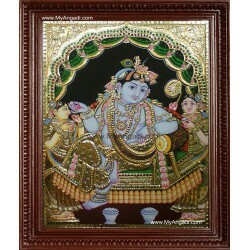 Paintings of Krishna symbolize the beautiful life on this earth to the fullest. 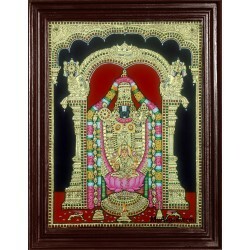 Choose your favorite Lord Krishna paintings from many of available Traditional collections of Krishnar Tanjore Paintings. 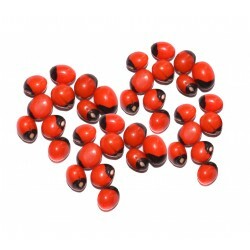 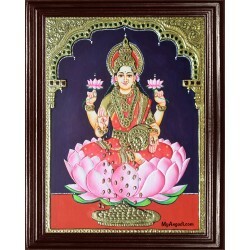 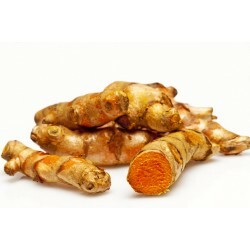 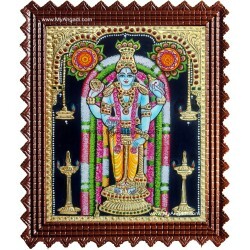 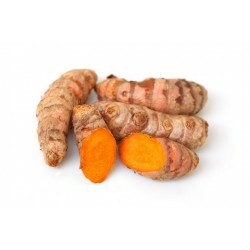 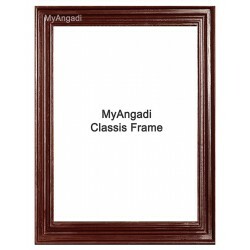 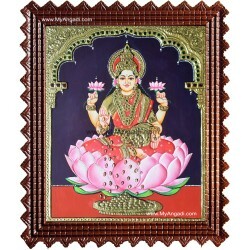 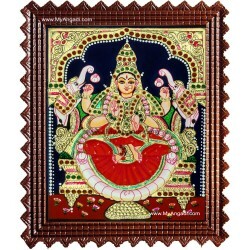 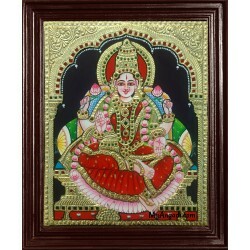 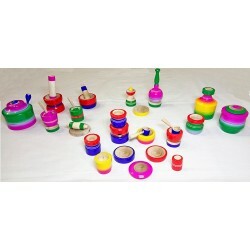 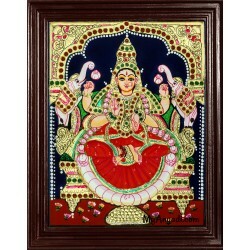 Ideally suitable for giving Gifts in occasions and Decorating Pooja Room in Home and Office. 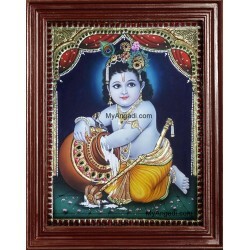 Fill your home with the beauty of this exquisitely detailed painting of Lord Krishna, shown here as a child who sits comfortably in Alilai. 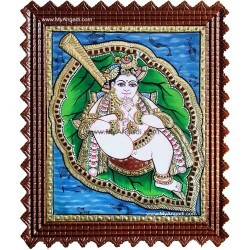 Little Krishna in Peepal leaf floating on the ocean symbolizes the beginning of creation. 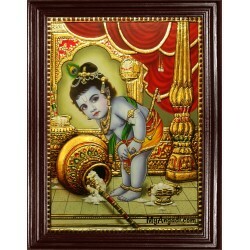 Make a Special place for this Charming Painting in your home or Spread..
Presenting an exquisite work featuring Butter Krishna (Vennai Thaali Krishna) as a child indulging in his favorite pastime of eating churned butter. 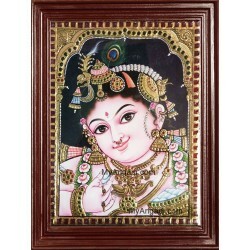 Make a Special place for this Charming Painting in your home or Spread happiness as a thoughtful gift for a New parent. 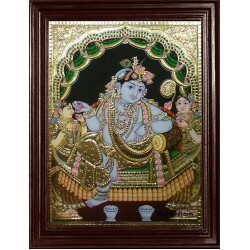 Order Now!​Butter Krish..
Radha-Krishna amour is a love Epic of all times. 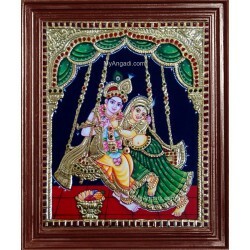 This Traditional Painting also captures the feel of Krishna & Radha, who are expressing their divine togetherness in enchanted love while seated on a garden swing. 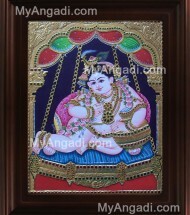 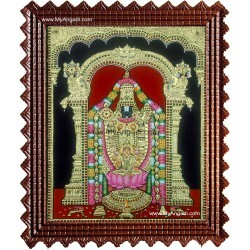 Deserve a Special place for this Divine Painting in your home or Spread happi..